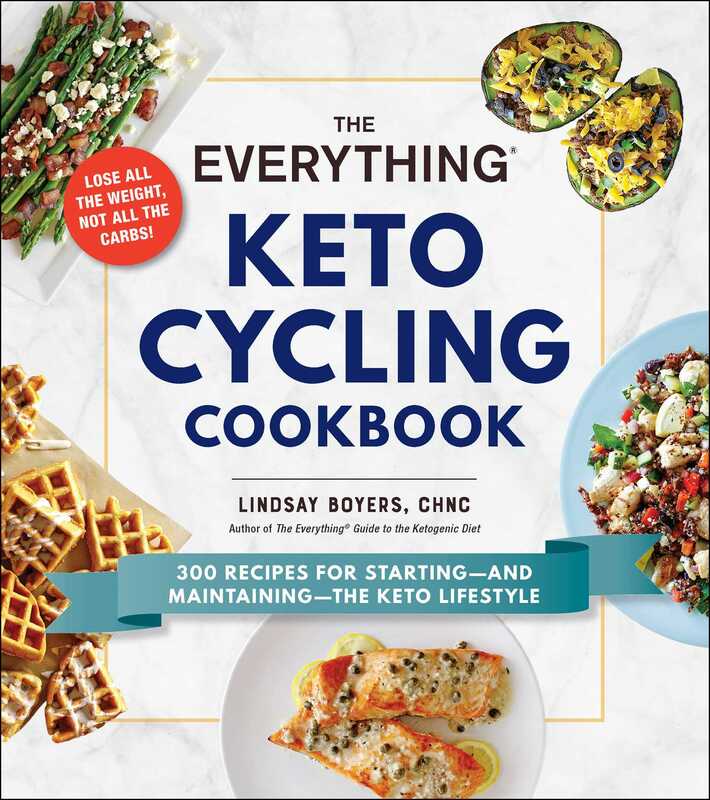 In The Everything® Keto Cycling Cookbook, readers will find hundreds of options for low-carb, high-fat meals, along with recipes for that weekly—yet still healthy—cheat day. The keto diet has taken the world by storm, promising quick weight loss by burning fat for fuel instead of carbs. But the keto diet isn’t perfect for everyone. It can be highly restrictive, allowing dieters to only eat a minimal amount of carbs each day, which can be hard to keep up on a long-term basis. The keto cycle diet allows dieters to experience the wonderful benefits of the keto diet without having to give up carbs forever. By adhering to the keto diet for six days of the week and then eating healthy, clean carbs on the seventh—such as brown rice, sweet potatoes, and fruit—followers of the keto cycling diet burn fat and lose weight while still enjoying pasta once in a while. The Everything® Keto Cycling Cookbook will help you create keto-friendly meals during the week and healthy carb-forward dishes for that day of free eating. This cookbook features 300 recipes for breakfast, lunch, dinner, snacks, and even desserts that will keep you on track and feeling great. Lindsay Boyers, CHNC is a nutrition consultant with extensive experience in a wide range of dietary therapies including the ketogenic diet. She also specializes in elimination diets, gut health, and identifying food sensitivities in her clients. Lindsay’s articles on nutrition and health have been published on various health and wellness sites, including Healthline.com, Livestrong.com, and JillianMichaels.com. She lives in Shrewsbury, Massachusetts.